New details emerged Thursday about the proposed constitutional amendment that Republican Florida Sen. Marco Rubio plans to introduce, which would permanently fix the number of Supreme Court justices at nine. 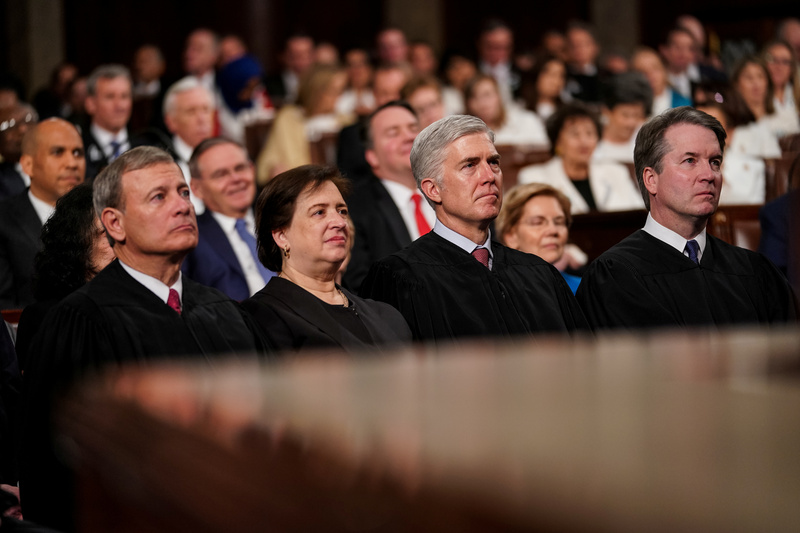 Rubio’s intention to codify the number of seats on the Supreme Court comes as multiple Democratic presidential candidates have discussed the idea of expanding the court. “The Supreme Court of the United States shall be composed of not more than 9 justices,” the text of the amendment reads in part, according to Rubio’s office. His office expects the amendment to be introduced as early as the end of the week. President Donald Trump addressed “court-packing” as a Democratic presidential talking point during a Tuesday press conference with Brazilian President Jair Bolsonaro. Republican Tennessee Rep. Mark Green also announced Tuesday that he “will be introducing a constitutional amendment that would limit the number of Supreme Court justices to 9” later this week. An amendment must pass through both chambers of Congress with a two-thirds majority and then be ratified by three-fourths of the states to take effect.